Department of internal combustion engines (ICE) was established in 1930. Since 1980, it is the base of Ukrainian universities for automotive engineering. During its existence the Department has prepared more than 4,000 graduates. Today the department enrolls more than 200 students. Dept. ICE is part of the Institute of Education and Science in Power Engineering, Electronics and Electromechanics. The department has 31 employees, 4 of them have the title of professor, 8 – Associate Professor (4 – Doctors of Science, 10 – Ph.D.), 7 graduate students. Among the teachers of the department 3 – State Prize of Ukraine, 2 – laureate of the Cabinet of Ministers. Department of internal combustion engines NTU “KPI” prepares specialists in the relevant specialty for production, technical, engineering design, organizational management, as well as research and educational activities in the areas of development, production, pre-training, maintenance and repair of all types of internal combustion engines. – 142-05 Exploitation, diagnosis and repair organization of internal combustion engines. Graduates qualification: Bachelor’s level – Bachelor of Engineering, at the master’s level – a professional in the area. Training is conducted in accordance with the latest trends and global motor construction, it focused on the level of knowledge of modern school graduates. To ensure the educational process specialists department constantly published and reprinted textbooks, monographs, diverse methodological literature. In particular, the Department issued a unique six-volume tutorial “Internal Combustion Engines”, which awarded the highest award – the State Prize of Ukraine. The department has unique material and technical base. The total area of the department – 1700 meters^2. It includes an audience of technical training, computer class, laboratory measurements and fuel equipment, two halls with 16 motor stands where engines jf minitechnics, automobile, tractor, tank, and other special motors, cut and ship diesel locomotive engines are installed . When KP “Kharkiv engine design bureau” of the Malyshev plant. is a branch of the department. 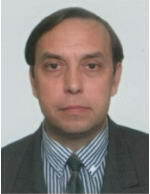 Now department operates Scientific Council D.64.050.13 on specialty 05.05.03 “Engines and power plants.” Chairman of the Scientific Council is prof. Marchenko Andrei Petrovich. Department annually, is a co-organizer of the International Congress engine builders, which takes place in early September in Koblevo (Ukraine). At the Department published Ukrainian scientific and technical magazine “Internal Combustion Engines“.